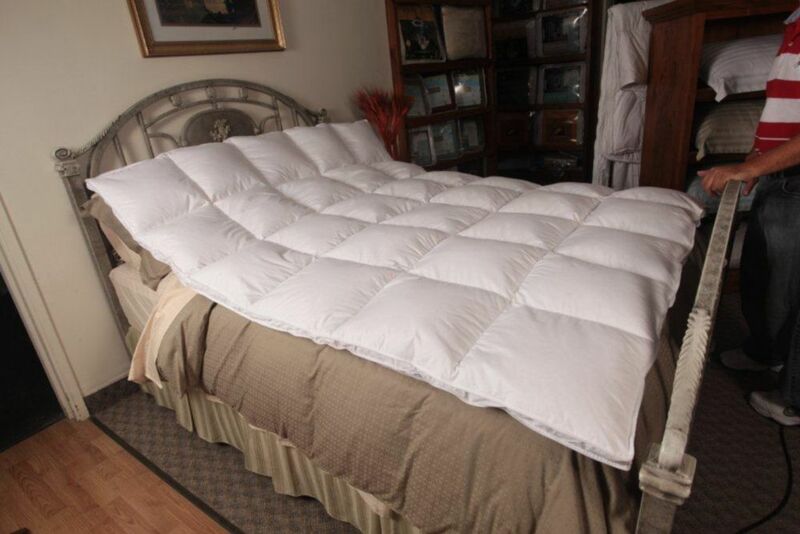 White Goose Featherbed, King Royal Elite Small White Goose Feather Bed with 100% down-proof cotton shell. Available in 4 sizes. Sizes and weight: Twin - 40 x 76" + 2" - 7 lbs., Double - 55 x 76" + 2" - 10 lbs., Queen - 61 x 81" + 2" - 12 lbs., King - 79 x 81" + 2" - 15 lbs.